Global Satellite-based Automatic Identification Systems Market 2018 by Manufacturers, Regions, Type and Application, Forecast to 2023 | Market Research Reports® Inc. 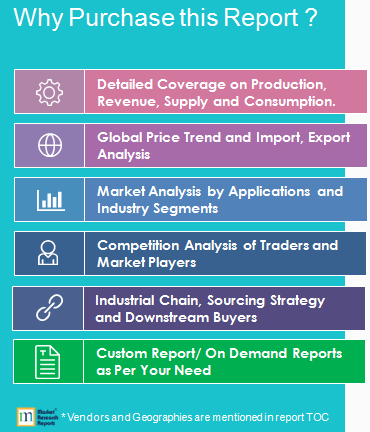 Global Satellite-based Automatic Identification Systems Market 2018 by Manufacturers, Regions, Type and Application, Forecast to 2023 report is published on January 10, 2019 and has 119 pages in it. This market research report provides information about Satellite, Broadcasting & Cable, Media industry. It covers Global regional market data and forecasts. It is priced starting at USD 3,480.00 for Single User License (PDF) which allows one person to use this report. The Class A transponder segment will dominate the market during the forecast period. Much of this segment’s growth is primarily due to the ability of these transponders to transmit information more frequently and detect vessels even in dense areas. Several commercial vessels carrying expensive commodities are installing Class A transponders to achieve high traceability and better monitoring and controlling features. The increase in the number of larger vessels in maritime traffic and decrease in the price of transponders will augment the growth of this segment during the forecast period. During 2017, the Americas dominated the market, where North America accounted for almost 37% of the overall regional revenue. The primary reason for this region’s growth is due to the increasing development of AIS solutions for the US national defense. The AIS applications help in storm and hurricane disaster management and in volcano monitoring, which is highly critical in this region. The implementation of big data analytics services will boost the market for AIS in the region over the next four years.